Quick and easy Mexican corn salad recipe with cilantro lime vinaigrette, homemade with simple ingredients in one bowl in just 10 minutes. Use this fresh and healthy summer salad as an appetizer, topping or side dish. If you liked this Strawberry Salsa (One Bowl) and these Vegetable Fajitas (One Pan), you are going to be obsessed with this salad. 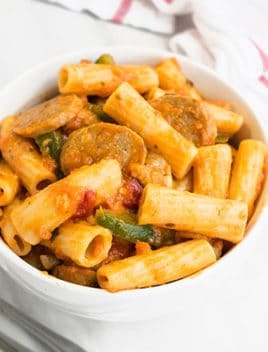 It’s so easy that even kids can make it and I bet you already have all of the ingredients in your pantry. I like to just toss everything together in a salad bowl but some people like to toss it in pan or skillet for 2-3 minutes until it becomes warm and serve that. I think it’s an unnecessary step and doesn’t really alter the flavor in any way. 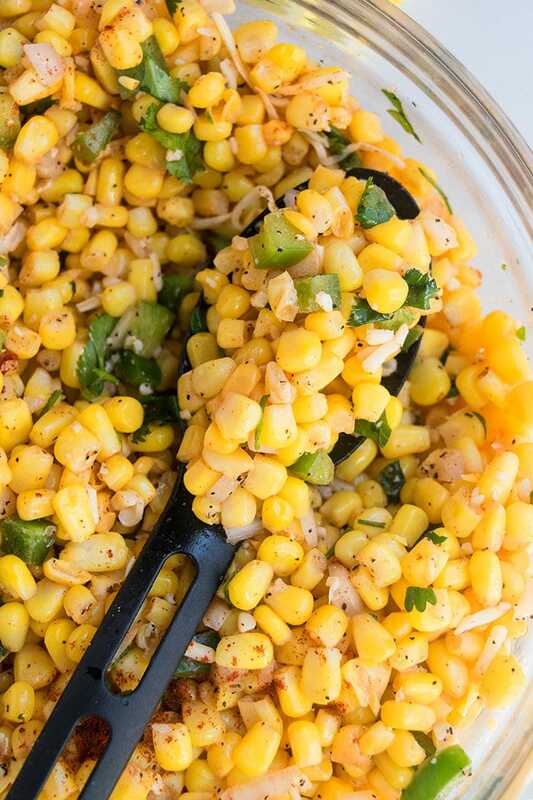 Mix together corn, jalapenos, onions, cilantro, oil, lime juice, salt, pepper, paprika and cheese. 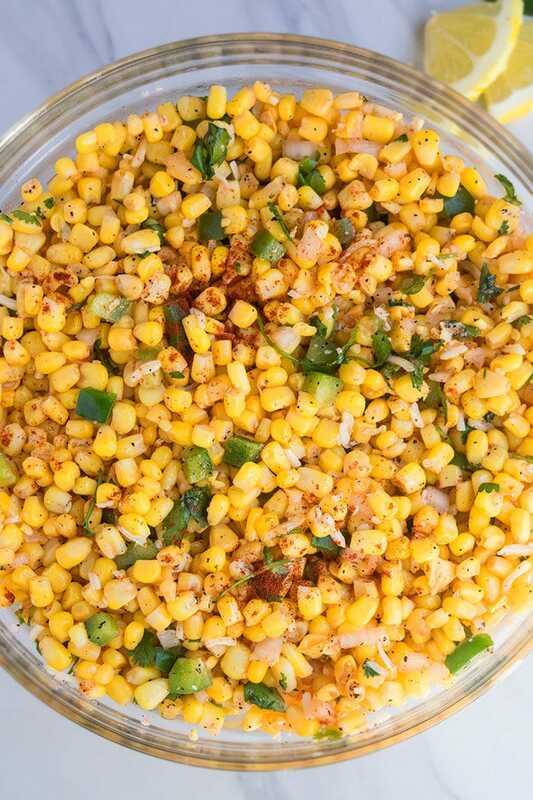 What to serve with Mexican street corn salad? You can serve it with corn tortilla chips as an appetizer. You can even use it as a topping in tacos, burritos, burgers, sandwiches, wraps. My favorite way to enjoy it is as a side dish with Chicken Fajitas (One Pot), Steak Fajitas (One Pot) and Mexican Shredded Chicken (One Pot). Corn avocado salad– Dice 1 avocado and mix that into the salad. 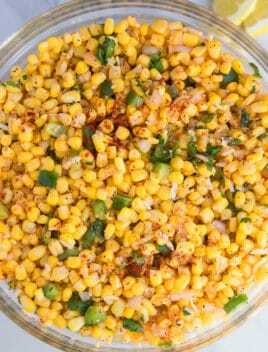 Roasted or grilled corn salad– Grill corn and use that instead of frozen. Black bean and corn salad– Mix in 1/2 cup canned black beans (drained and rinsed). Add tomatoes– Mix in 1 cup cherry tomatoes (cut in half). Add mayo or sour cream– Add about 2 tbsp to make it creamy and sprinkle some Frito chips for a nice crunch. 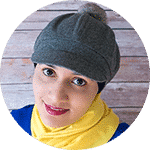 Frozen corn vs. Canned corn– I prefer frozen corn since it does not have any preservatives and has a better texture. Make sure to thaw it first and then, drain out excess liquid to prevent the salad from becoming too watery. Adjust the spice level– This is entirely a personal preference. Use more or less jalapenos. Remove the seeds to prevent it from becoming burning hot. If you don’t have jalapenos, you can sprinkle some red chili flakes too. Lemon juice vs. Lime juice– I think lime juice tastes the best and gives it that authentic Mexican flavor. You can also use a combination of lemon and lime and even add some zest. What cheese to use? The best choice would be Cotija. 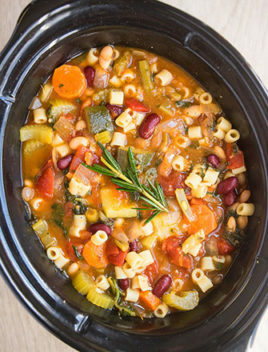 If you don’t have that, you can also use shredded mozzarella or feta. You can also omit it entirely too. Use other fresh herbs– I strongly feel that cilantro gives this salad an authentic flavor and aroma but many people don’t like this herb. You can replace it with any other fresh herbs of your choice. 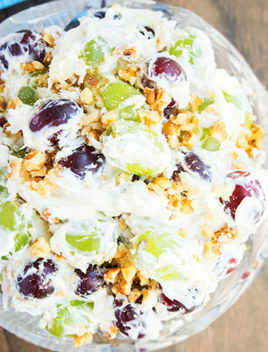 Chill salad– For at least 30 minutes because this allows all the flavors to deepen and really makes a difference. 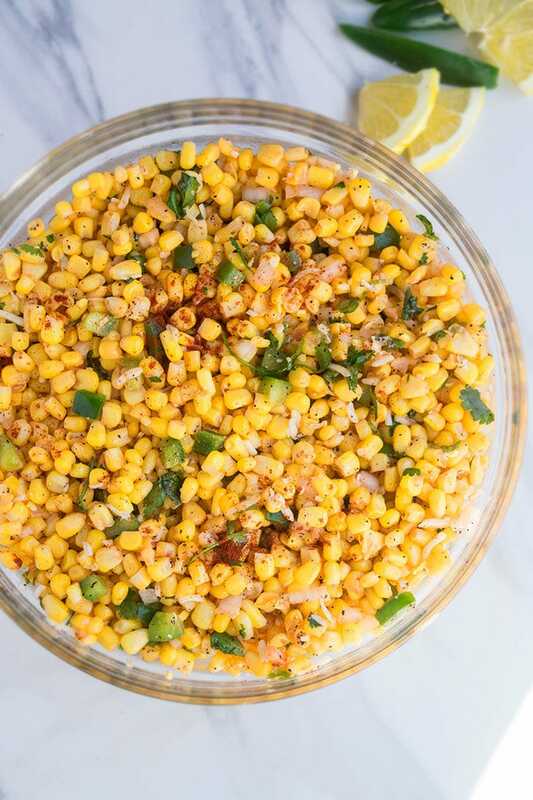 Quick and easy Mexican corn salad recipe with cilantro lime vinaigrette, homemade with simple ingredients in one bowl in just 10 minutes. Fresh & healthy! In a salad bowl, add corn, jalapenos, onion, cilantro, oil, lime juice, salt, pepper, paprika. Toss everything together until fully combined. Stir in cheese of your choice. 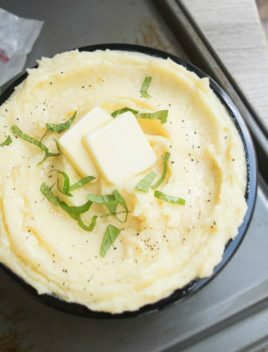 Cover and refrigerate for 30 minutes to allow the flavors to deepen. Enjoy!